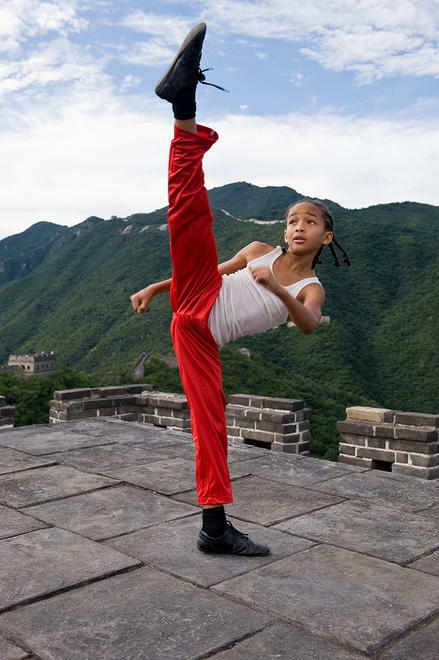 “The new karate kid movie is coming… http://movies.yahoo.com/feature/movie-talk-karate-kid.html. So we don’t need Mike anymore – lol. If the old timers are around, (At 43, I didn’t think I would be an old timer) they have probably heard someone say “All we need is a new karate kid movie.” The movie comes out June 11th. I think it’s going to be a good flick. That Jaden kid obviously got the acting genes from his parents. And thank goodness – remember “The Next Karate Kid” before what’s-her-face could act? I agree with George, you need to start planning your tie-ins now. Get to the local theater before anyone else and start working out a promo deal with the manager. Make sure you can have a table in the front at the premiere, and offer to do demos for them for free. You might even be able to talk them into getting the radio stations to do a remote, if you talk fast enough. This movie will likely be the big summer release for kids. I like to pick up at least one good business book each month, and I’m always looking for books that will challenge the way I think about and approach business. Recently I picked up The Go-Giver , a phenomenal modern-day parable that illustrates how having a giving spirit is much more important to one’s business success than just getting all you can in any way possible. If you’ve ever heard that Zig Ziglar quote, “You can get everything in life you want if you will just help enough other people get what they want,” and wondered what the heck he meant by that, this book will help you discover why service is the key to success. Being a martial arts instructor is really about service at it’s core. 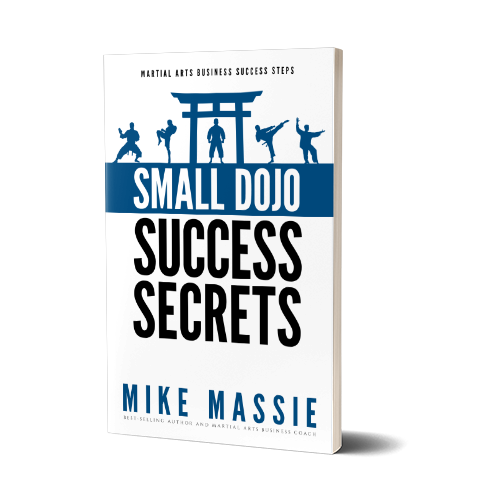 I highly recommend this book to martial arts instructors everywhere, and the theme is perfect for a holiday read. Try It Out For Just $1 – Click Here! If you’ve been paying attention to posts and “breadcrumbs” I’ve been leaving all over the place, you’d have already figured out that I’ve relaunched the MASAI member website. After a week of beta-testing, I decided to let my blog readers and newsletter subscribers in on it first (my SAMAS members have already been putting it through it’s paces for several days now). So, my holiday gift to you is full access to the new site for three days for just $1. That way, you can see for yourself what all the fuss on our SAMAS site has been about over the last year-and-a-half. Go check it out – there’s some free sample content there, and you can read the “teasers” for all the member’s only articles, videos, audios, and marketing materials (which we update every month with professionally-designed ads that are written by yours truly, as well as exclusive audio and video content you can’t find anywhere else).